Do you want to capture what you see? 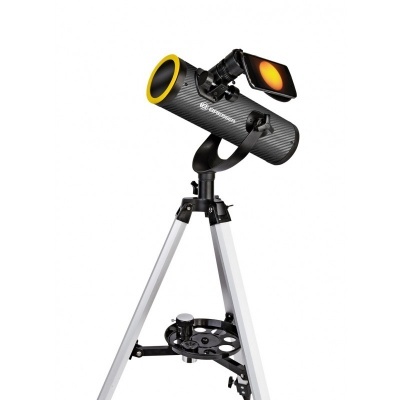 With the included smart phone holder bracket, you can use your smartphone to easily take colour pictures of celestial objects - using the telescope as a telephoto lens! Important: NEVER attempt to look at the Sun without properly using a safety filter. Please inspect the filter before every use. Improper use can lead to permenant eye damage. Please contact us if you have any problems!